Do you want Double Slides? 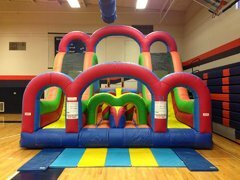 Leap Joy Inflatables has the best Turbo Obstacle Course with DOUBLE slides! Double slides, Double the fun.